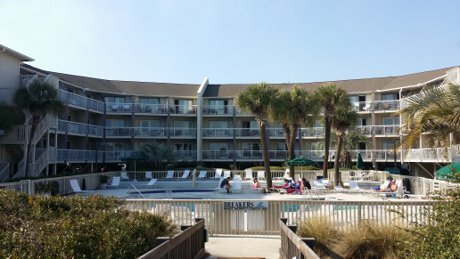 The Breakers Villas Hilton Head For Sale are a complex of 1-bedroom direct oceanfront condos that are 518 square foot and form a semi-circle around an oceanfront poo. No pets are allowed here and the villas are walk-up. Direct oceanfront! Photos will be up on Saturday. Listing courtesy of Hilton Head Island Realty Plus. Selling Office: .